Product Description: A guide of more than 35 complete engine buildups offering a wide variety of performance levels for several generations of Ford V8 engine families. Product Description: Inside this manual the reader will learn to do routine maintenance, tune-up procedures, engine repair, along with aspects of your car such as cooling and heating, air conditioning, fuel and exhaust, emissions control, ignition, brakes, suspension and steering, electrical systems, wiring diagrams. 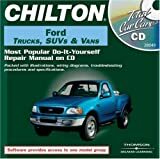 Product Description: This book examines the most popular pickup truck of all time, the Ford F-150. It provides readers with hundreds of illustrations, nearly all in color, of the F-series pick-ups. Whether it’s a work truck, a high-performance Lightning, a luxurious King-Ranch, a rugged off-road FX4 or a sensational Harley-Davidson F-150, all the great Fords are highlighted in this volume. Product Description: Ford sells about a half million Ford F-series trucks a year. Here is just the book owners need to keep their pick-ups running and looking good. Presented in the same format as the Jeep Owner's Bible, the book is packed with essential information on how to buy, maintain, and have fun with your Ford truck. 760 photos and illustrations. 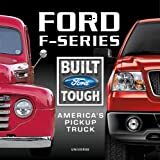 Product Description: The first and only history devoted solely to Fords heavy-duty haulers provides big-truck enthusiasts with a comprehensive history of the line supplemented by a wealth of archival and modern photography. Every model is covered: the T Series, N Series, H Series, W Series, Louisville Line, C Series, COEs, and F Series. Product Description: Full-color coverage of the ever-popular Ford Mustang from inception to today's high-performance Mustangs. Original color photography highlights the history, technical development, and marketing of this famous American icon. 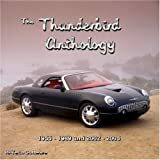 Product Description: Cover Mustang fox bodied cars thruough 1993 and Capri fox bodied cars through 1986. Does NOT cover 1991-1994 Capri convertibles. Product Description: Covers U.S. and Canadian models of Ford F-150 Pick-ups. Does not include F-150 Heritage, Lightning, F-250, Super Duty or diesel models. Product Description: Covers all models of Ford F-100, F-150, F-250, F-350 and Bronco (1978-86); 2 and 4 wheel drive, gasoline and diesel engines. Product Description: New from Haynes—the famous name in automotive guides—Xtreme Manuals cover performance, customizing, and more. Hundreds of ideas, tips and tricks from the experts, and easy-to-use, full-color, step-by-step instructions make it easy to get Xtreme looks and Xtreme power. How to Build a Traditional Ford Hot Rod, Revised Ed. Product Description: Huw Evans. This is a comprehensive guide to refurbishing and modifying the 5-liter Mustang, covering the engine, suspension, driveline, interior, and exterior of the car. 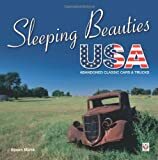 Product Description: Enjoy this work of art that describes in great detail the legend, allure, and sharp beauty of the greatest American muscle car. 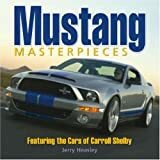 From the era-standard Shelby to the super-performance machines of today, the Mustang is represented in all of its creative genius and power through 300 lavish full color photographs and personal stories of the car owners. Product Description: Ground up or section by section, this guide will show you how to restore your 1965-70 Mustang to like-new condition. Packed with dozens of identification charts and more than 450 photos and drawings. the guide covers year-by-year equipment changes and disassembly and assembly. A Mustang suppliers list is a bonus. 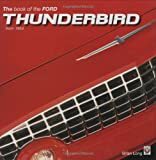 Product Description: Packed with hundreds of handy hints and nifty tricks to keep the classic collectible Mustangs looking sharp and running great. Every pre-1973 Mustang owner will enjoy these great articles compiled from Hot Rod magazine that show them how to do it right and save money. 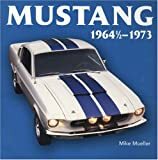 Product Description: A sensational history of the mighty Shelby Mustangs, from the raw 65s to the muscular 70s. 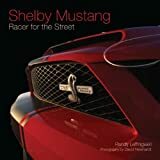 All the inside details of development, production and special features - plus over 70 color shots of the best Shelby Mustangs around. Street and strip, stock and high-performance, the Hertz cars, and more. The complete history of the Shelby Mustangs by the editor of Mustang Monthly. 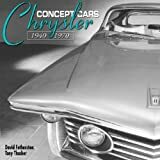 Product Description: After WW2, the market changed and Studebaker began to struggle, as resources were limited and smaller companies, like Studebaker, found they could not compete against General Motors and Ford. The Hawk series lasted from 1956 to 1966 and from 1999 they added the compact Lark VI & Lark VIII to their range. Product Description: A comprehensive manual containing full info on how to maintain and overhaul the Willys MB and Ford GPW. Includes US Army official service manuals; TM9-803, operation and basic vehicle maint. : TM9-1803A, engine and clutch; TM9-1803B, power train, body, frame and special tools.